And a good job it was, too! 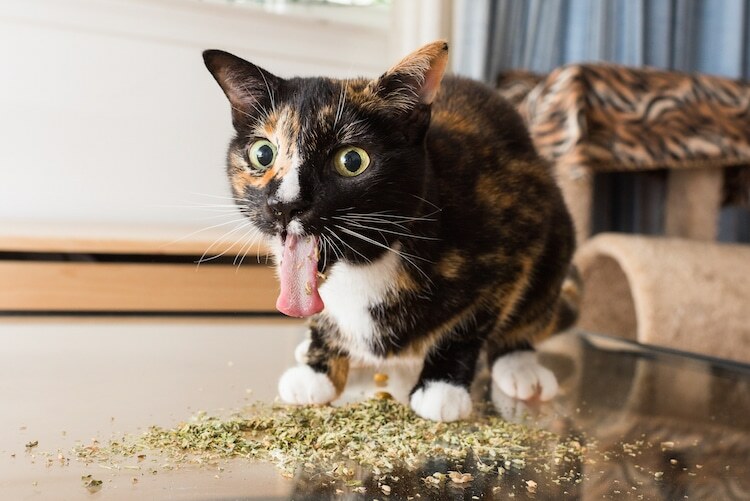 Well, three sites, Laughing Squid, My Modern Met, and Bored Panda all published pictures this week of cats high on catnip, all taken by cat photographer Andrew Marttila . I’ll show just a few. 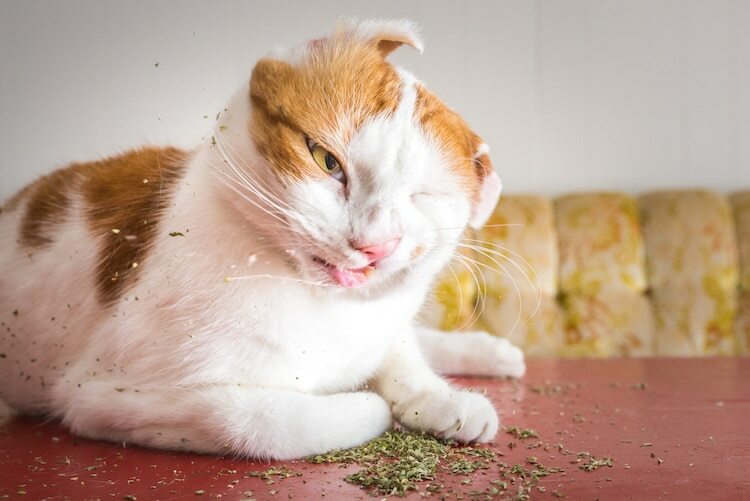 Getting your cat stoned is merely one of the many pleasures of owning one of these lovely creatures. 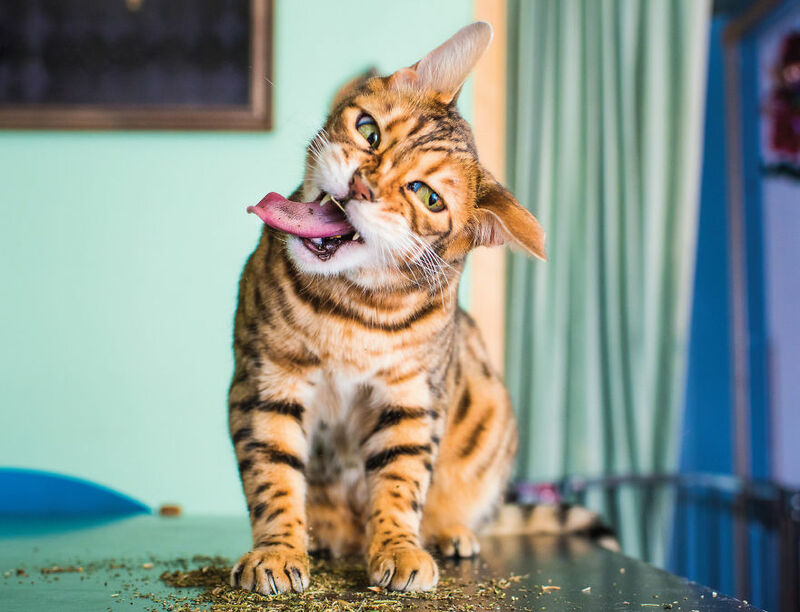 Has anybody ever studied whether cats get the munchies when they’re stoned? A cat is amazingly unhurt after getting stuck in the air vent of a family car and travelling up to 80 miles in it. The male tabby was only noticed when the family parked up in Clacton-on-Sea after hours on the road. They say he could have been inside the grille of the Ford Focus for up to two days. Steven Kane, the owner of the car, said: “We’d pulled up at the seafront and I was playing on the green with my brother’s little girl when I looked up and spotted him. RSPCA inspector Lucy Brennan attended the scene and contacted the AA to free the cat. “The cat was trapped in the grille of the car and the driver was unsure how long he had been there or where he had come from,” said Ms Brennan, revealing the cat has been named Ford by the charity. 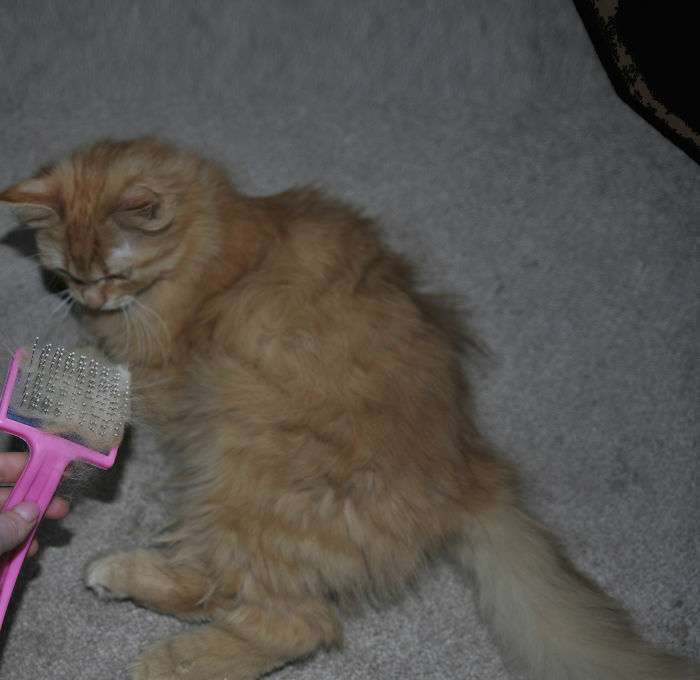 “Luckily, the cat didn’t appear to be injured but he was well and truly trapped. We contacted the AA who came out to carefully dismantle the car by taking out the headlights and bumper and freeing the poor moggy. Ford has been checked over by staff at the RSPCA Danaher branch where an existing problem with his tail was spotted. It will need amputating. If you’re in Essex, you might want to adopt this lovely kitty; the Danaher adoption center is here. 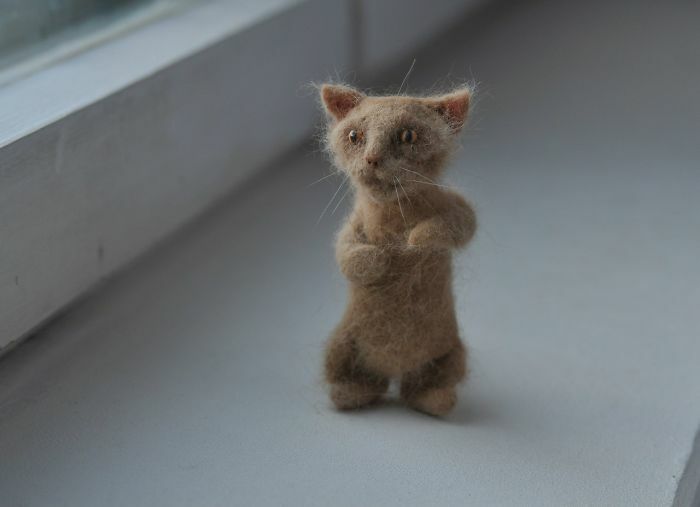 This entry was written by whyevolutionistrue and posted on June 23, 2018 at 9:30 am and filed under Caturday felids. Bookmark the permalink. Follow any comments here with the RSS feed for this post. Both comments and trackbacks are currently closed. 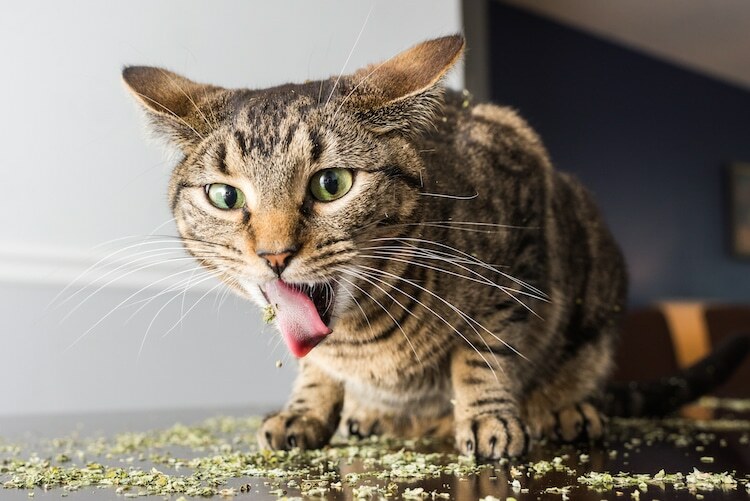 Does a cat get the munchies? I don’t think so but ours have the munchies all the time. Could any Brits here explain what “the AA” is? I’m assuming it’s the equivalent of AAA here in the States. These were some great links today. It baffles me that cats sometimes squeeze into places from which they can’t escape. Cats are usually unusually careful and wary, but it seems they just can’t resist finding out whether they can fit into small spaces and impossible places. You will be surprised why the AA [Automobile Association] was formed! Have three guesses before clicking the link. Never would have guessed that. All my ideas had to do with WWII. Thanks for thew info. Couldn’t have come up with that in three hundred guesses! The Automobile Association. Along with the RAC (Royal Automobile Club) used to be member run organisations for car drivers offering an emergency maintenance service. These days they have been sold off and operate as very avaricious commercial companies. You’ve got me interested in the pharmacology of catnip. 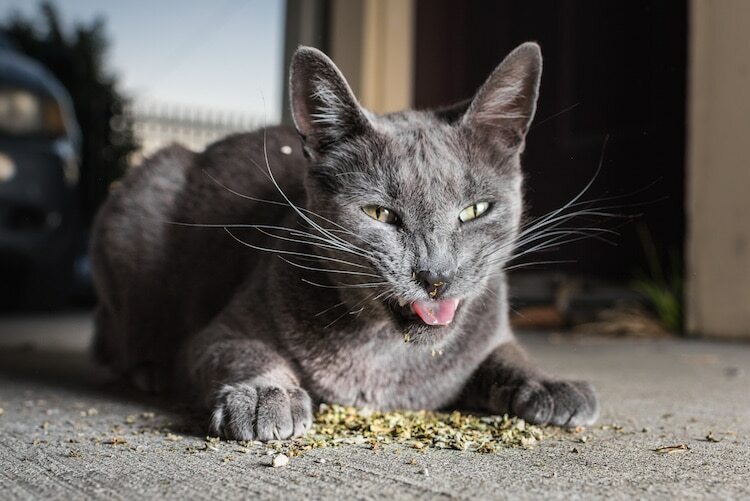 From what I understand the effects wear off rather quickly but an immediate second exposure won’t have any effect; there has to be a couple of hours between doses, so a cat can’t be stoned all the time. Some human psychedelics are similar. I’ve been told that nobody really knows what it does and there is no equivalent in humans. It does appear to be a stimulant, though. In 1982, we were using a 1968 VW bus as our flea market vehicle. We set our stand up using an awning and folding tables. Someone at the market was giving kittens away, and a customer of ours had let his son get one. The kitten got away from the little boy, and we couldn’t find him. Monday morning, when we went to unload the bus, we heard meowing coming from underneath. The kitten had ridden the 25 miles back to our house (much of it on the freeway), with a stop at the grocery store, clinging to the transmission housing. We named him VW. The tiny little black kitten grew up and thrived, and lived to be 15 years old. That, Ms Calhoun, is just the scariest but also darlingest story ! Thank you ! I knew … … well ! 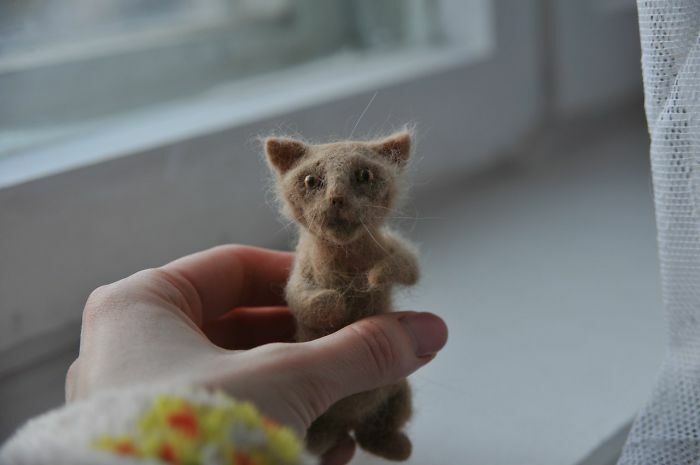 That Russian (named Yulia Galitsyna) with the yellow cat is a patient woman! The tiger stripe bengal cat is gorgeous.